Birding has been slow this winter at Montrose. My best days have maxed out at between 20 and 24 species. This is typical but in some years we at least have Snowy Owls to keep us entertained and to pass the time until spring and migration arrive. Not this year. Not one Snowy Owl has been reported at Montrose this winter. 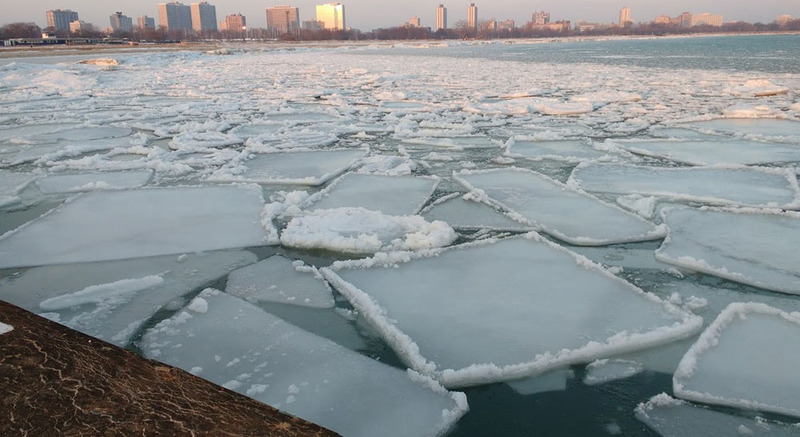 Today, February 22, was no different; I tallied 24 species in 90 minutes of birding, but the ice formations on Lake Michigan made the long walk out onto the fishing pier worthwhile. I’m always impressed by the geometry of these formations. In this picture, one of the pieces in the foreground looks perfectly square, the piece above it looks perfectly rectangular, and the large piece to the left looks trapezoidal. Nature’s artwork. Link to my eBird checklist for the day below. 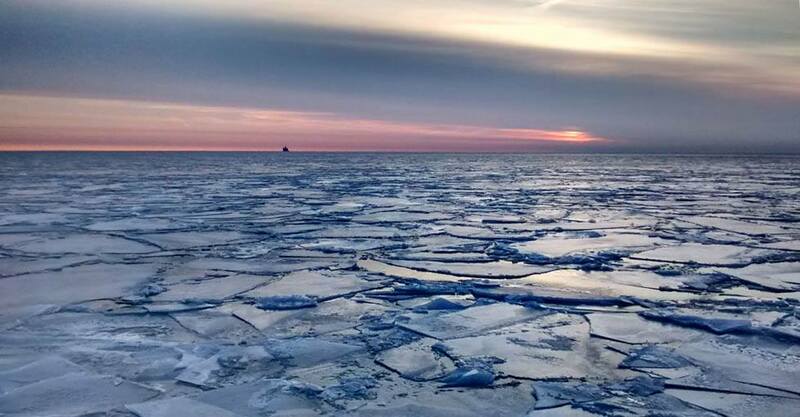 This entry was posted in Weather, Winter Bird Reports and tagged Ice, Lake Michigan on February 22, 2019 by rhughes. We’re three weeks into meteorological spring now and winter just won’t let go. 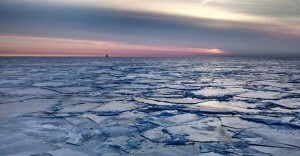 I didn’t see anything of note, except that ice seems to be reforming on Lake Michigan! Yes, it’s been that cold. The harbor is still mostly frozen over and the beach is covered in ice. I wonder if this is the beginning of a new ice age? 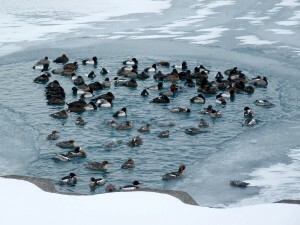 This entry was posted in Spring Bird Reports, Weather and tagged Ice, Lake Michigan on March 21, 2013 by rhughes. 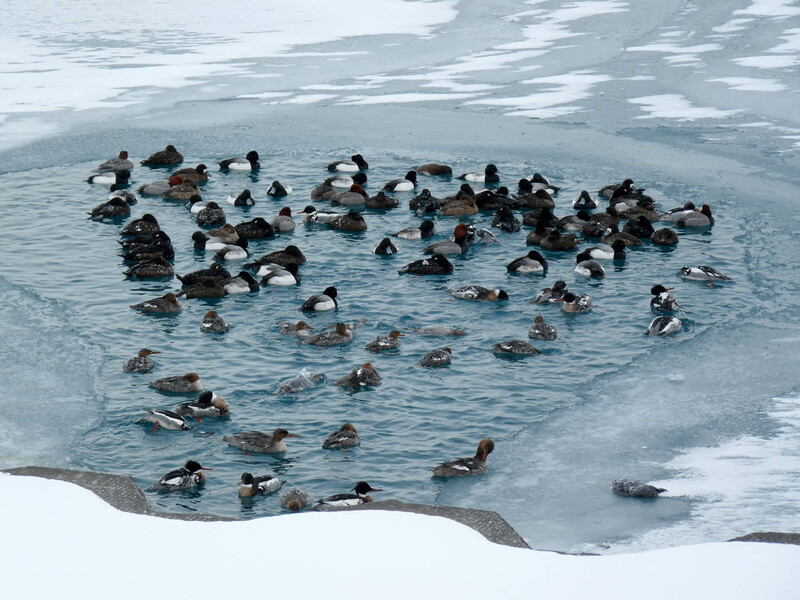 This entry was posted in Spring Bird Reports, Weather and tagged Canvasback, Ice, Lake Michigan, Lapland Longspur, Longspurs, Snow Bunting, Waterfowl, White-winged Scoter on March 15, 2013 by rhughes.